I wrote this book so I'm a bit biased :-) But I'd love to hear what you think. The book is written to be a guide to help B2B marketers and salespeople navigate the challenges of buyer personas, nurturing, content and creating progression toward the buying choice for the prospects they need to engage. 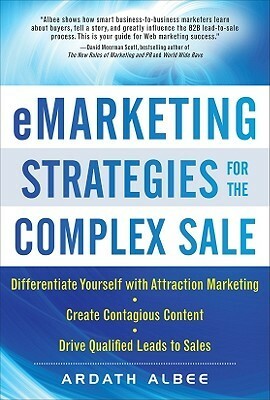 This book was recommended to me as an essential read for any Marketer for Complex Sales. Lots of great ideas, unique ways of looking at your target market and segmenting your audience. I thought many chapters of the book may have been better suited for an inside sales rep, and I sometimes felt the author was a little too unrealistic in terms of the constant agreement and alignment needed between Sales and Marketing. Overall I am glad I read it and am hoping to be able to use some takeaways and put them into action. Must have for those in internet marketing (social, email, etc..). A mandatory read by a company I work for, turned into knowledge of a lifetime. A very methodical approach of integrated sales and marketing concept.